Chaos Space Marines are merciless reavers, intent upon slaughter and pillage. For ten thousand years, those who were once Mankinds greatest defenders, have waged a bloody war on the universe. Codex: Chaos Space Marines is your complete guide to the Heretic Astartes – a brotherhood of superhu..
Show your dedication to the Warmaster with these Chaos-themed dice! Cast in the black and g..
Amidst the thunderous tumult of battle, a Master of Executions strides unflinchingly forwards, h..
A Chaos Lord is a tyrannical warrior king who lives to bathe in the blood of worlds. He strives .. 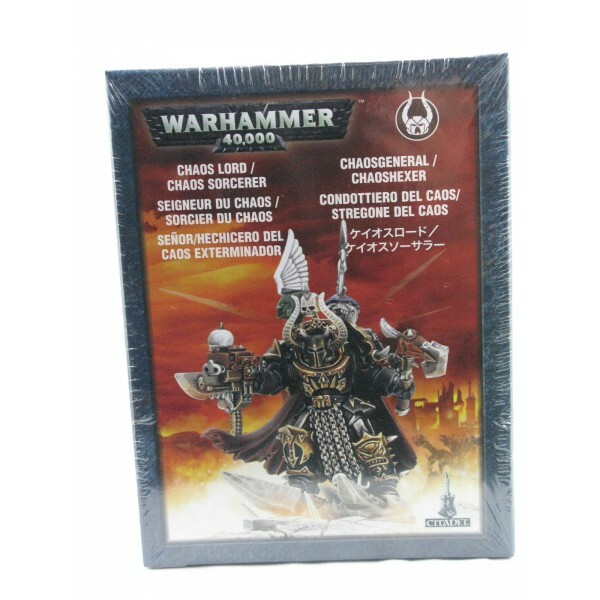 Chaos Lords are the most powerful of the Chaos Space Marines. With the genetic advanta.. Reliable, resilient and easily repaired, the Rhino APC has been the mainstay trans.. 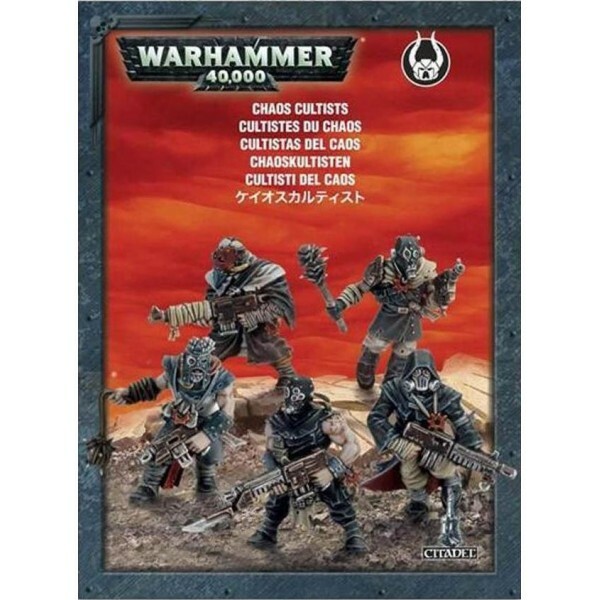 The Chaos Cultists can be found almost anywhere the Imperium has spread. 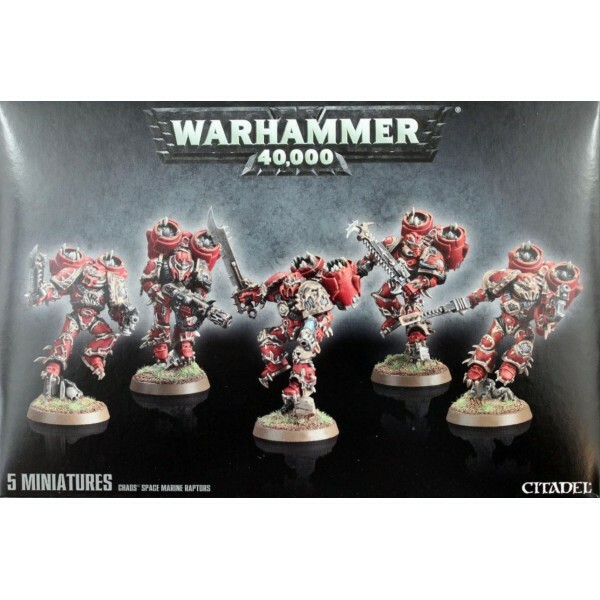 At first glance they are..
Haarken Worldclaimer takes a heinous joy in his role as the mouthpiece of Abaddon, for it is he.. 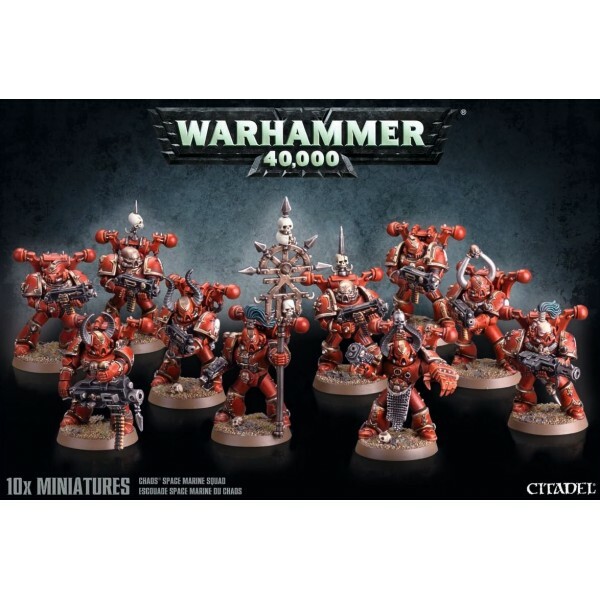 Chaos Space Marine squads are the most numerous in a Chaos army and form the backb.. 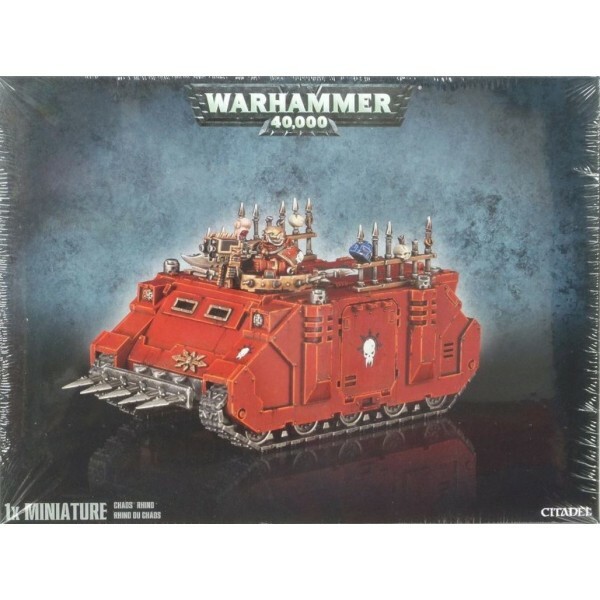 The cruel terror troops known as Raptors consider themselves the elite of the Chao..
Not even the Space Marines are safe from the lure of Chaos. Whether they hail from the dark da.. Dark Apostles make up the priesthood of the Dark Gods. Just as the Chaplains of the loyalist Spa..
Noctilith Crowns are brutal edifices raised up by the Chaos Space Marines to weaken the very f..